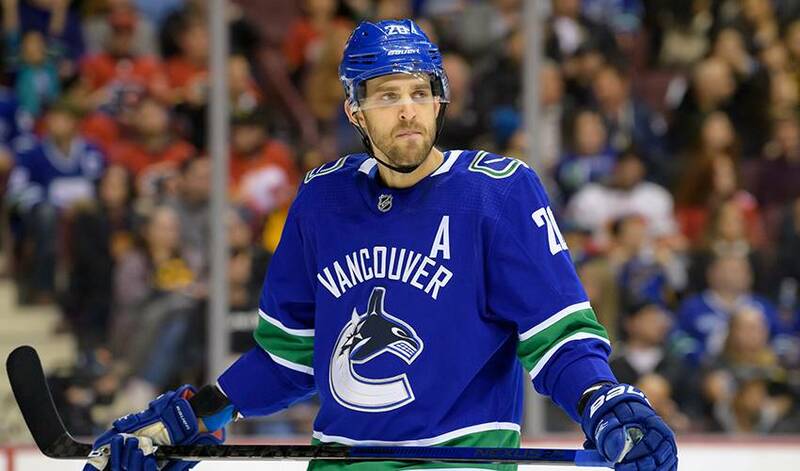 VANCOUVER — Injuries continue to plague the Vancouver Canucks as they head into the season's final stretch. The team announced Tuesday that centre Brandon Sutter will undergo surgery for a sports hernia on his right side. His recovery time has been pegged at six-to-eight weeks. The 30-year-old is no stranger to the procedure — he had surgery for a sports hernia on his left side in 2015. It's likely the injury will end Sutter's season. Vancouver (27-30-9) entered Tuesday eight points out of a wild-card spot in the congested Western Conference. Their final regular-season game is scheduled for April 6. Sutter hasn't played since the Canucks beat the Calgary Flames 4-3 on Feb. 9. The veteran forward also missed 30 games after he separated his shoulder in a Canucks win over the Minnesota Wild in late October. He has four goals and two assists in 26 games this season. "It's disappointing. (Sutter), he's a bit part of our team, our leadership group and it's a tough year for him," coach Travis Green said Tuesday. Sutter is just one of the injured players missing from the Canucks lineup. Left-winger Sven Baertschi was sidelined by post-concussion syndrome on Feb. 2. Defenceman Chris Tanev has been out since injuring his ankle on Feb. 13. A broken rib has kept right-winger Jake Virtanen off the roster since Feb. 13 as well. Defenceman Alex Edler returned last week after missing 11 games with a concussion. Green said Tanev was "feeling a little bit better" after skating on Tuesday. Virtanen is "coming along nice," the coach added. "Feeling better and better every day so he's not too far away." Centre Ryan Spooner missed practice with the Canucks on Tuesday due to what Green called a nagging groin injury. Defenceman Ben Hutton was also absent after he was hurt while blocking a shot in Vancouver's 3-0 loss to the Vegas Golden Knights on Sunday. Green said the team's medical staff will evaluate Hutton on Wednesday to see if he's eligible for the evening's contest with the visiting Toronto Maple Leafs.